If মেঘ should have a different weapon what would আপনি prefer? Have আপনি got a মেঘ Strife figure ? What do আপনি think Cloud's পছন্দ color is? In Advent Children অথবা FFVII? Would আপনি rather have মেঘ তারিখ Aerith, Tifa, অথবা yourself? মেঘ অথবা zack and explain why!!!!! a comment was made to the poll: Which picture of মেঘ is better? a comment was made to the poll: Which version of মেঘ আপনি like best? 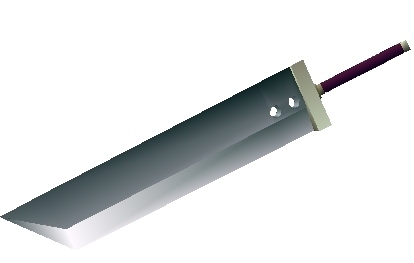 This is Cloud's iconic weapon, but what is it called? FFVII Figures, Advent Children - Play Arts?